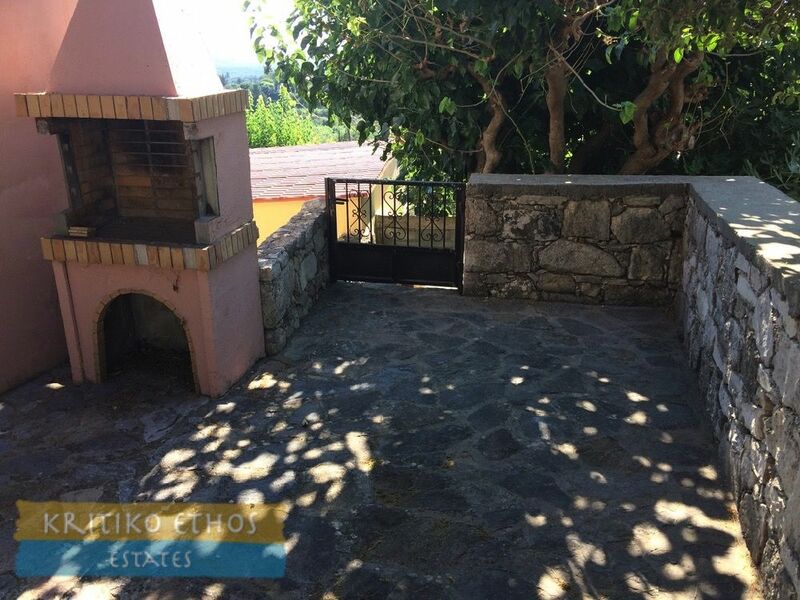 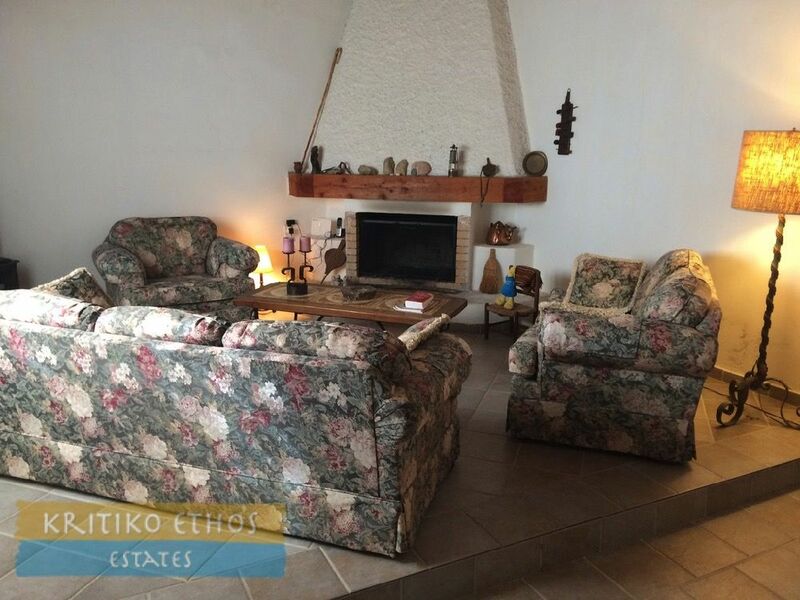 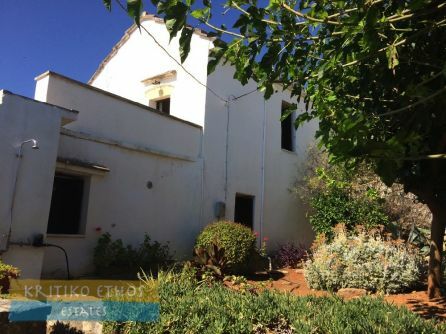 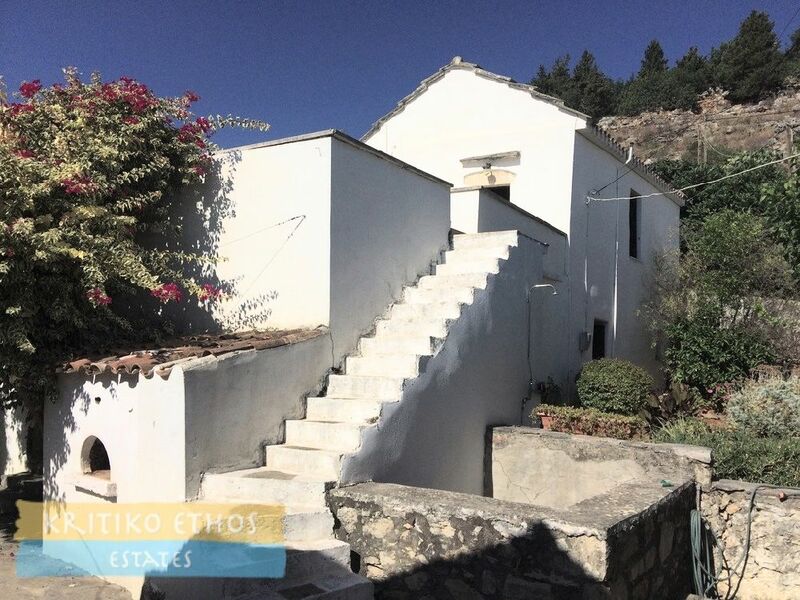 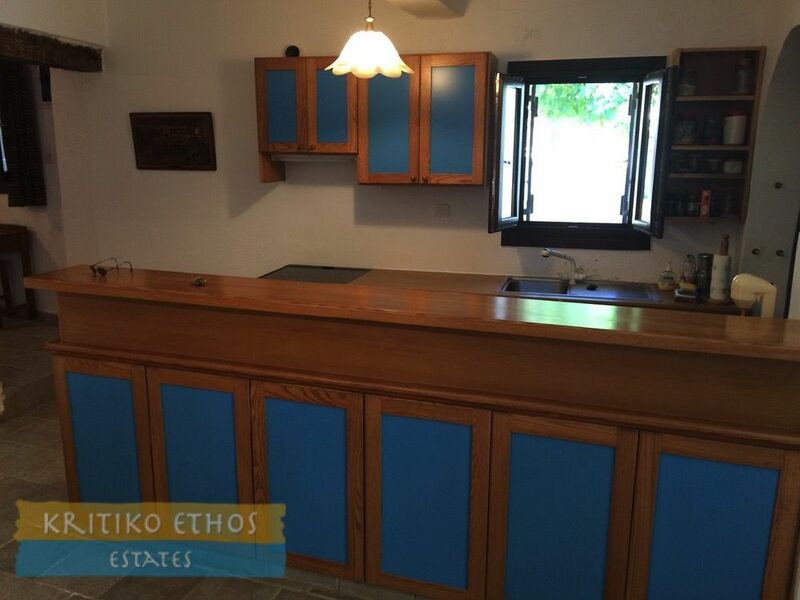 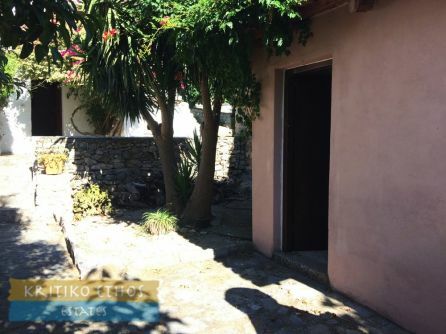 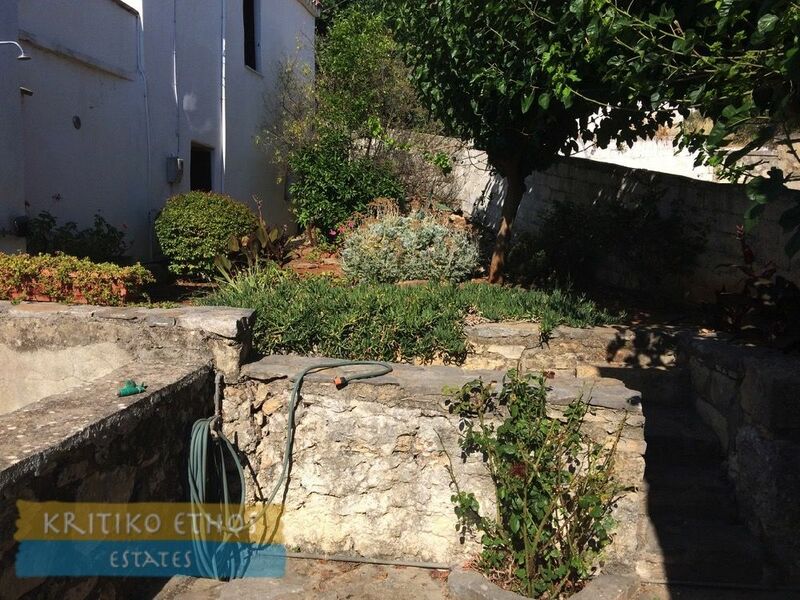 This large traditional home in Pemonia has been lovingly restored and given new life! 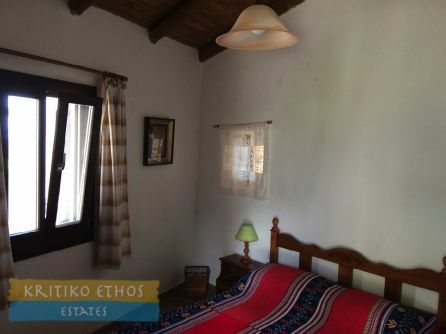 It is a very pleasant and comfortable residence in a quiet village situated roughly equidistant from Fres and Agii Pantes. 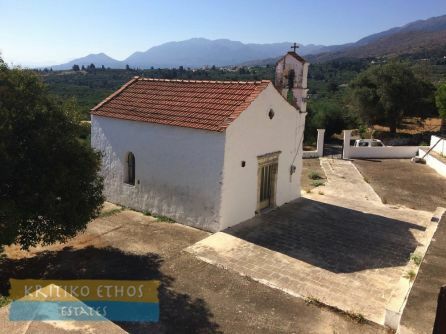 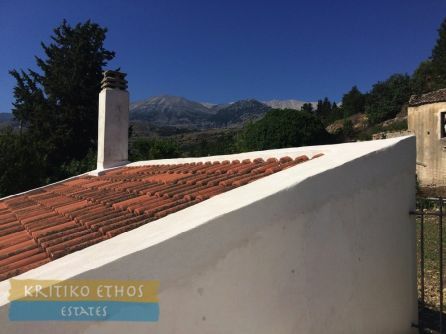 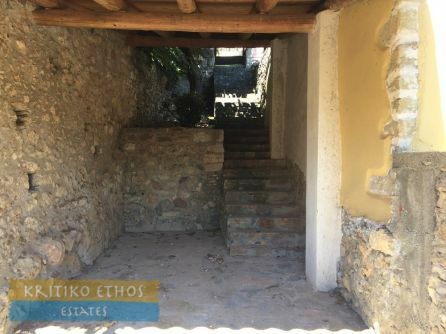 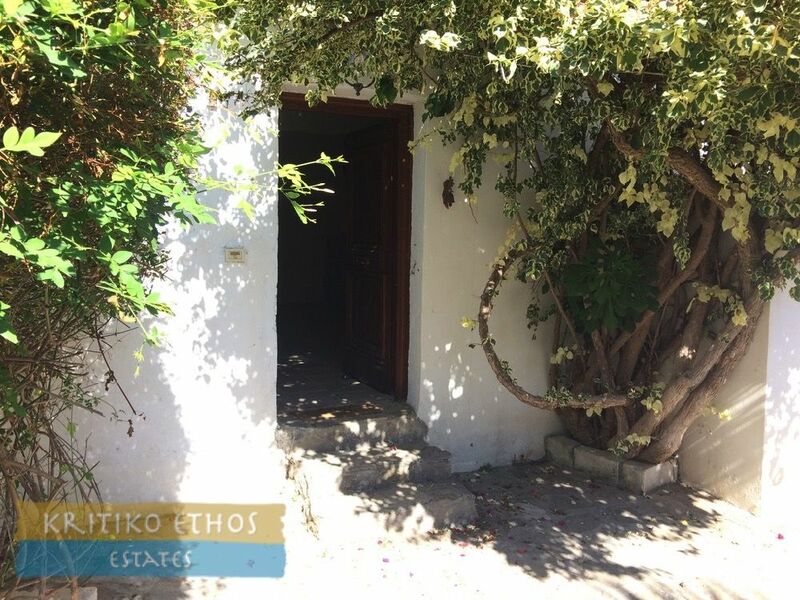 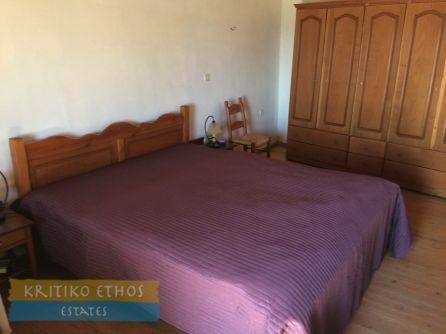 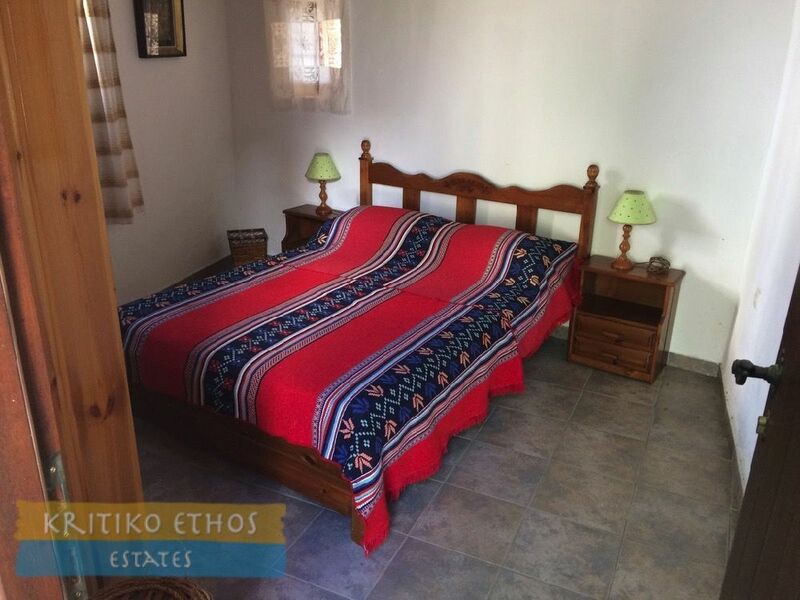 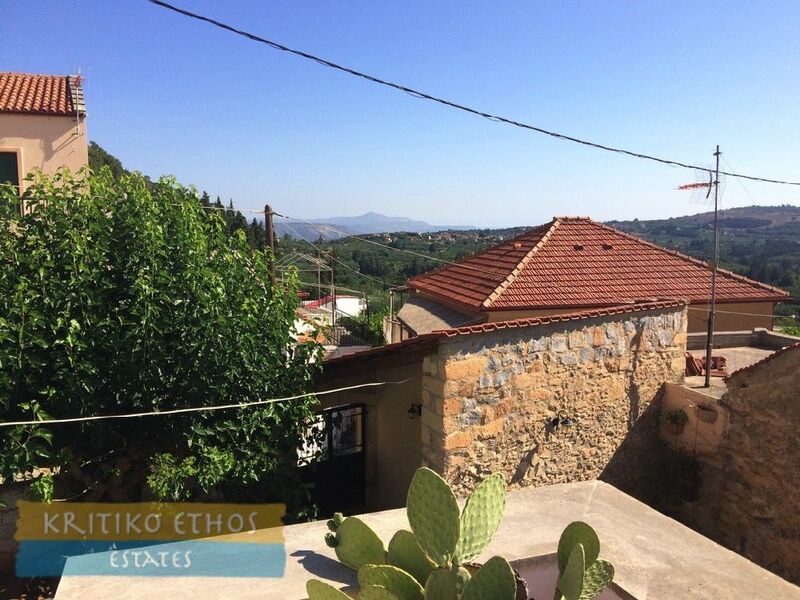 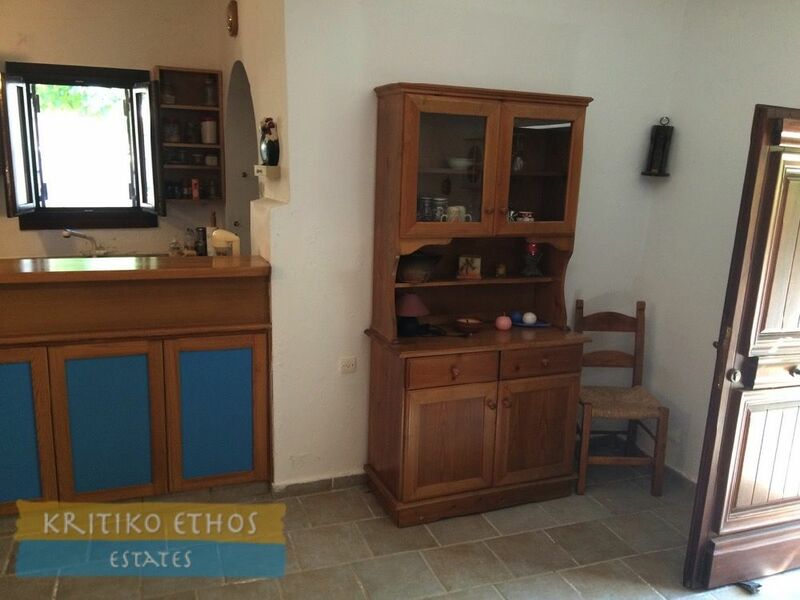 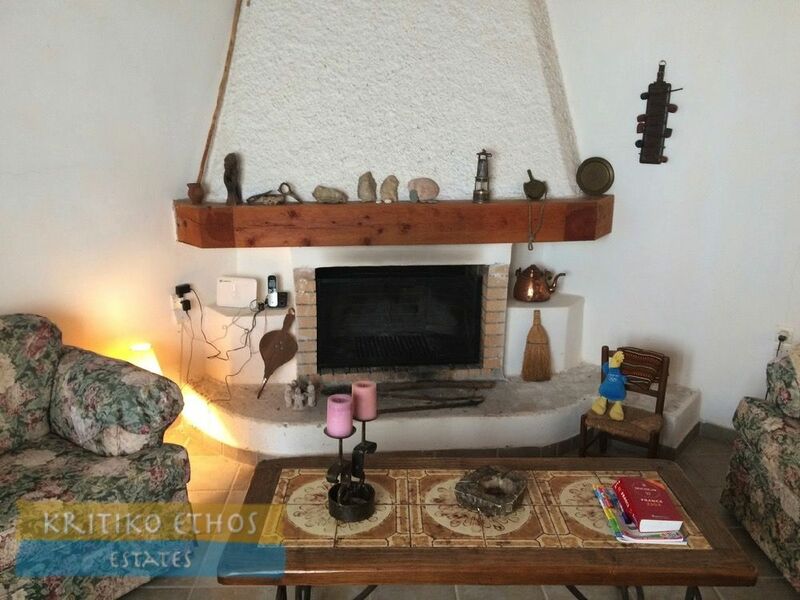 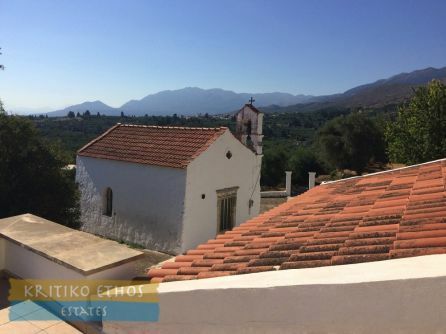 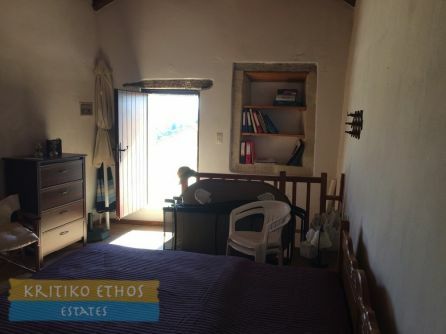 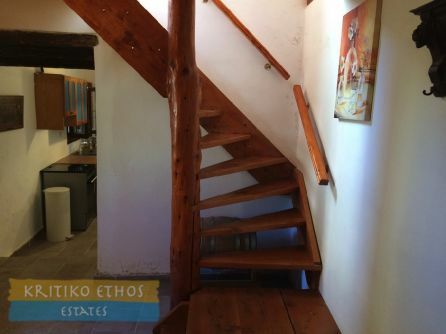 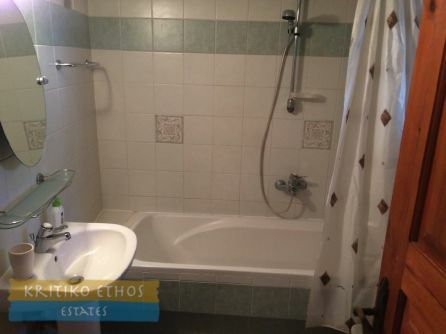 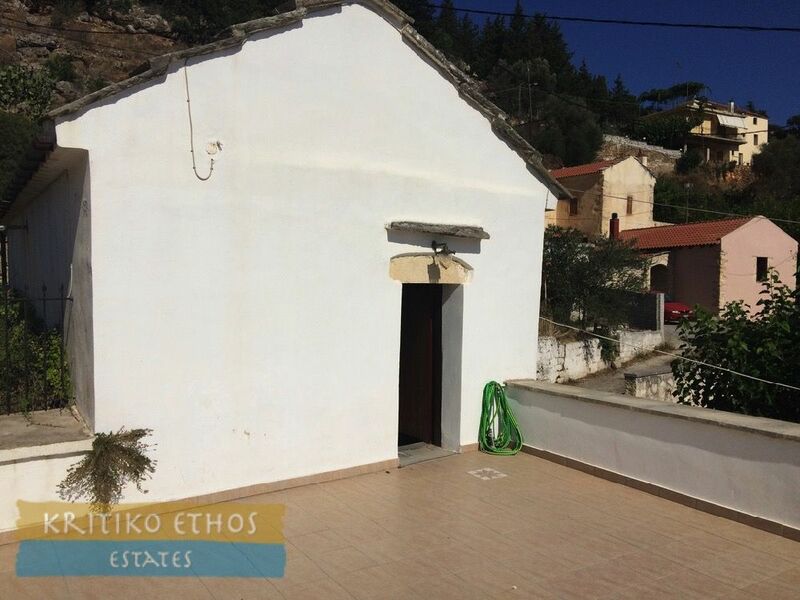 Both villages are approximately 1.8 km away and have excellent tavernas, kafenions, and mini-markets and Agii Pantes offers direct access to the National Road. 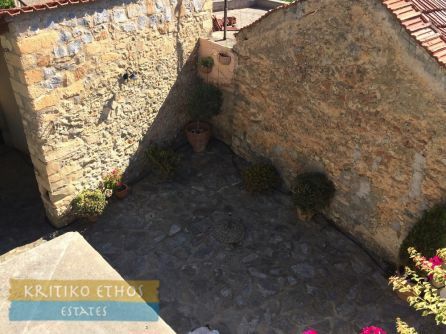 The home is situated on a small lane above the village and adjacent to a small village church, covered parking is just off the lane and access to the home is either by a small flight of stairs or directly from the road a bit further up. 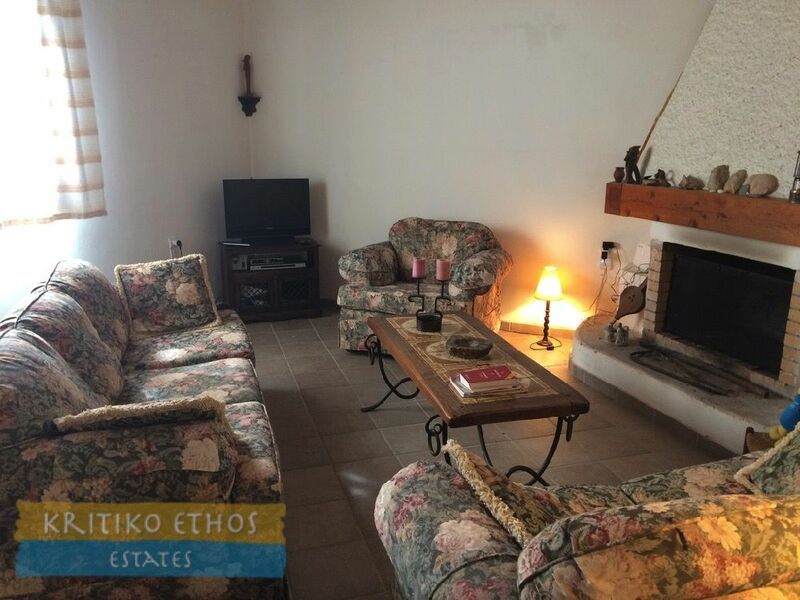 The main home comprises a modern and quite spacious kitchen and eating area and a separate large sitting room with a feature fireplace. 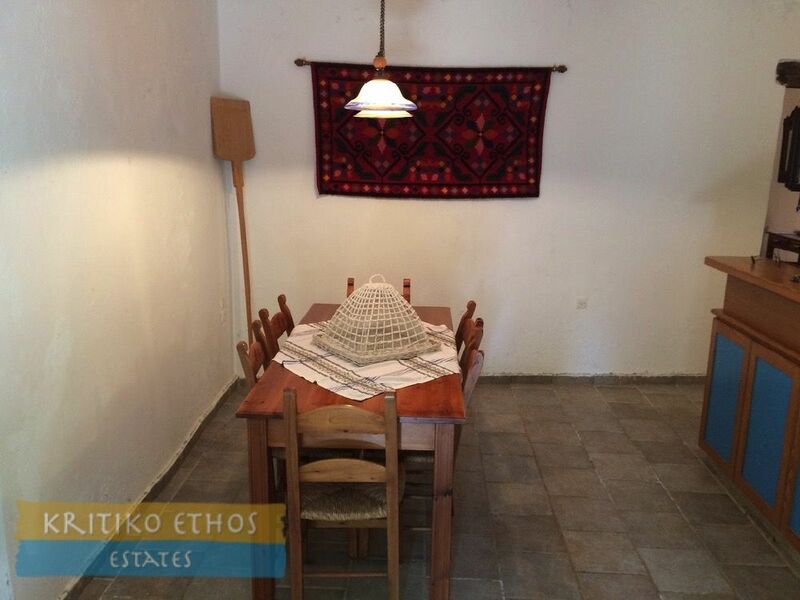 This room is very welcoming and the perfect place for quiet evenings as well as entertaining. An alcove off the kitchen (the old oven area) has been used as the pantry area and the refrigerator is located in this area. 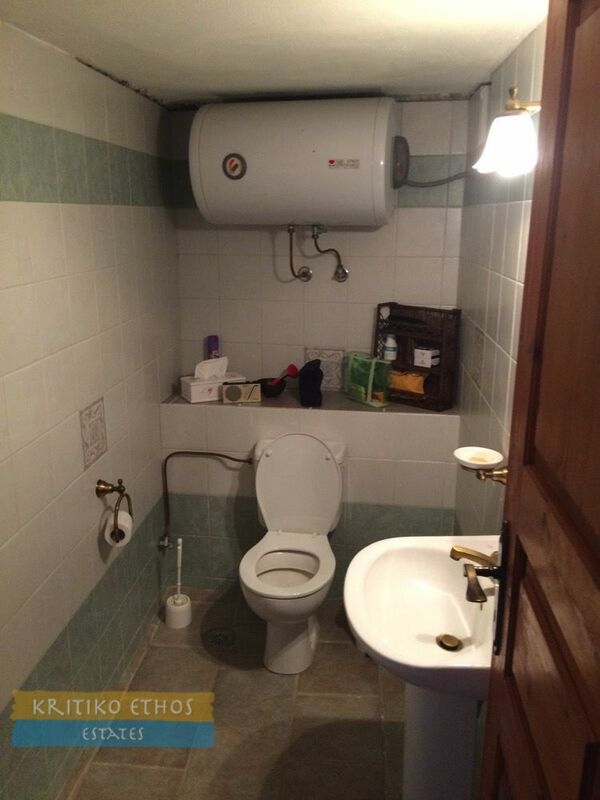 There is a full bathroom on this level as well as a guest toilet. A wood staircase leads to the first floor with the master bedroom. 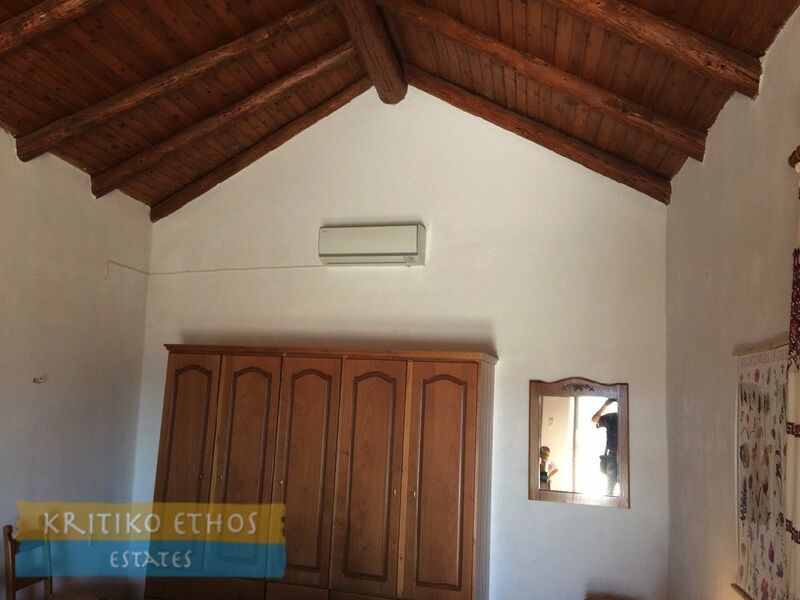 The high vaulted wood-beam ceiling is very traditional and helps keep the home cool in the summers … stone homes are well renowned for their insulating properties! 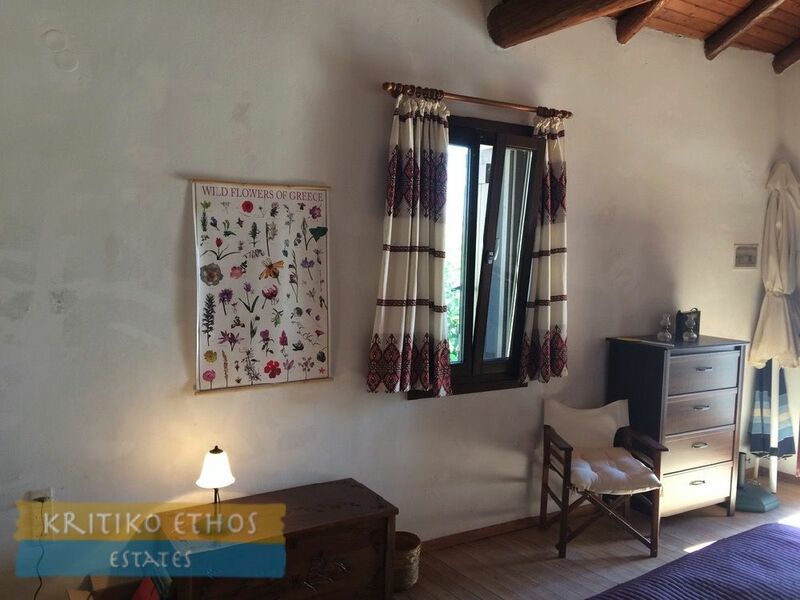 A doorway from the bedroom leads to the broad upper terrace offering excellent views to the White Mountains as well as the garden area below and the surrounding countryside. 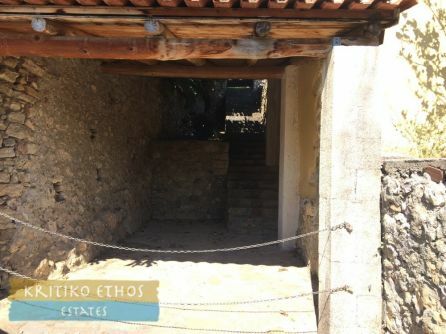 A staircase from this terrace leads down to the main level. 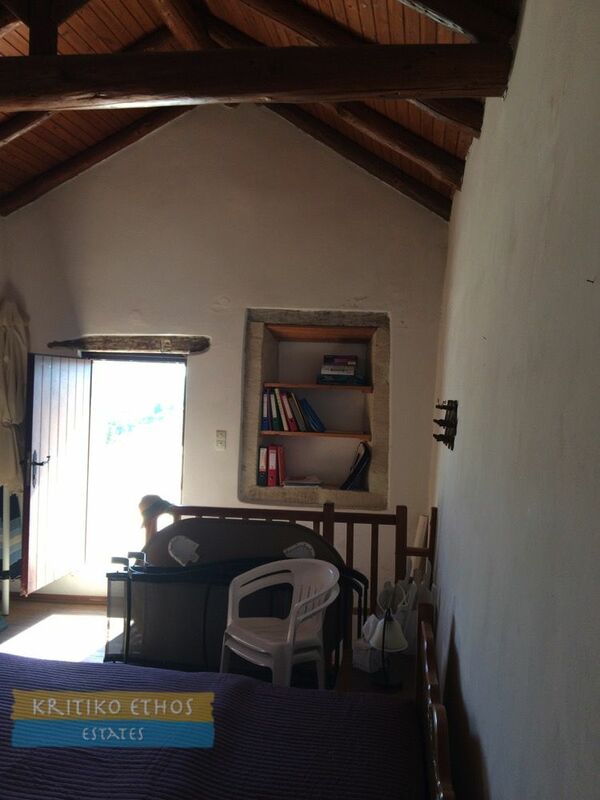 A separate stone-built guest bedroom is situated adjacent to the garden. 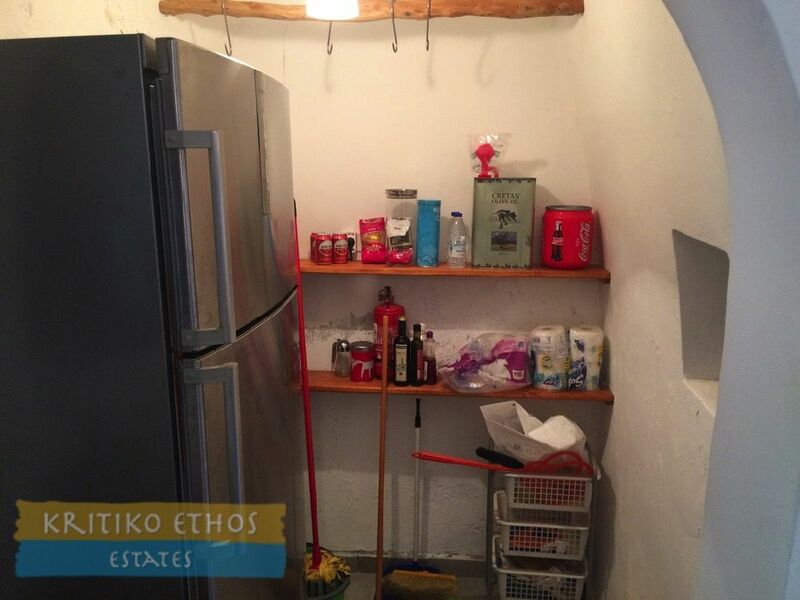 There is also a large storeroom near the steps leading to the lower-level parking area. 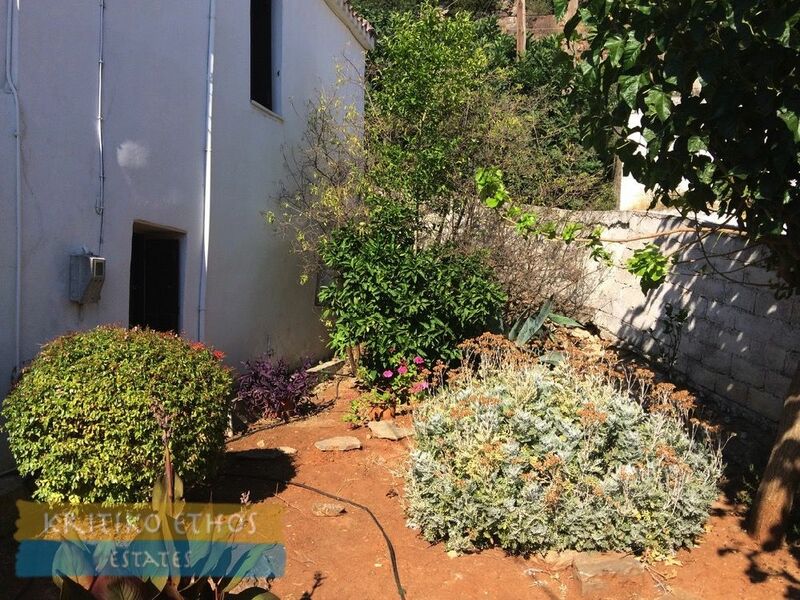 The garden area between the main home and the guest bedroom is large enough for plenty of vegetables and flowers and small enough to be easily maintained. 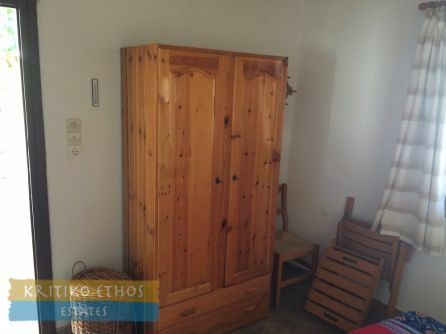 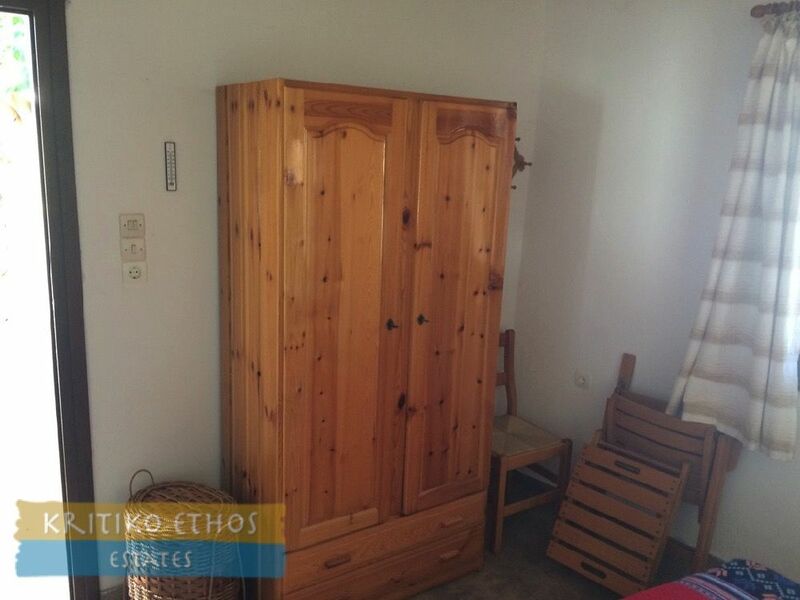 All white goods and most furniture are included in the selling price.